This year’s World Series had it all – pitching duels, homerun rallies, celebrity fans, extra innings, AND polka! 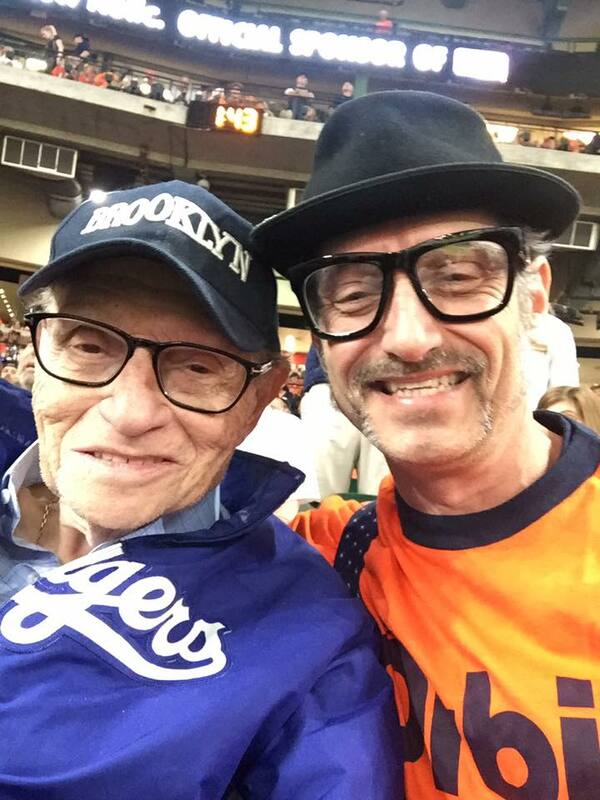 Houston Astros’ mega fan Polish Pete made sure of that. He and his Polka? I Hardly Know Her Band whipped out a ditty called the Altuve Polka inspired by American League MVP, second baseman Jose Altuve. With the help of Pete’s video-producer friend, Jason Yu, a video was made and posted to YouTube within 24 hours of recording the song. The video went viral easily racking up 100,000 views in no time. Polkabeat Facebook fans made it the most shared video in the page’s history. 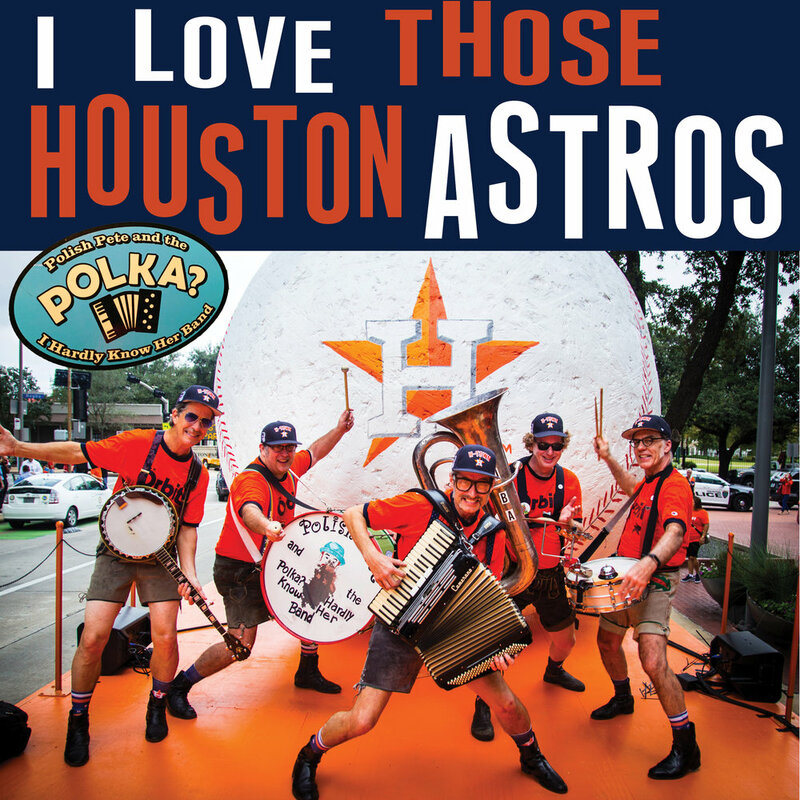 hit – I Love Those Houston Astros Polka. They made and posted that video within 8 hours of writing it. Gordon at his day job – manager of the Continental Club in downtown Houston – to learn how he and the guys got caught up in the championship frenzy that rocked the city. What was that victory parade like? It was great. Nolan Ryan was on our float. Jim Crane, owner of the Houston Astros, and family stopped by before the float took off to meet the band. We played for the fans, who were all smiling back at us. Love for the city, POLKA, and the Houston Astros was in the air the whole time. Did you get to meet Jose Altuve? national TV. We did get to meet the owner Jim Crane, the president Reid Ryan, the GM Jeff Luhnow, and the great Nolan Ryan, who are all fans of the songs and us, so I'm hopeful we will get a chance to meet Jose soon…maybe spring training. Why Apples Peaches Pumpkin Pie for the Altuve Polka? What’s the tune for I Love Those Houston Astros? I always felt Apples, Peaches to be a very strong Houston traditional number. All the bands play it but there are not many recordings of it, and the words in my head just fell into place with the melody. I just liked the way that all came together very quickly, it felt right. I love those Houston Astros so much I wrote a tune called I Love Those Houston Astros. It is an original tune but I wanted to evoke the style of the old Houston Oilers #1 song of the seventies which was such a great anthem for the city. I have been following the Astros since the day I moved to Texas. games now. I love those Houston Astros! What’s your polka and baseball story? kinds, and encouraged me to play and listen to everything. My grandfather had season tickets to the Pirates games, and there was a rule in the house – no tickets to the game unless the Lawrence Welk program was watched in its entirety. Which was always a double win for me! We would sing and dance in the living room watching Lawrence Welk, and my grandparents knew all the words to every song. We would go see music all the time all over the East Coast. I moved to Texas in the mid-eighties, and started going to shows all over Texas. Of course here in Houston, Bill Mraz ballroom, when it was still with us, and the SPJST lodge. I took a great trip to Poland last year, and met some unbelievable people and musicians there. I was in Krakow for the fall traditional music and heritage festival. It was everything I dreamed of seeing and hearing, and more! I hope to go back again next year. How did you decide to play the accordion? I love polka, and I always wanted to have a polka band, so I started teaching myself the accordion, polka stylings, and melodies with the stradella bass system, so I could polka. In order to play polka well, you have to have an accordion and a polka band. Tell us about the band. You’ve just ridden in the World Series Victory Parade, now what? bring the fun everywhere we go, and hope to play some new festivals next year. On behalf of polka fans everywhere, thanks Polish Pete and the Polka? I Hardly Know Her Band for shining a positive light on polka, and working up the Houston Astros’ fans into a fever pitch.